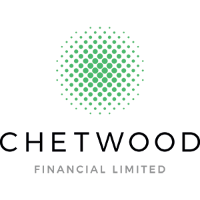 UK’s challenger bank scene has got a new entrant – Chetwood Financial. The regulator granted it a banking licence at the end of last year. The company was set up in January 2016 and is based in Wales, at Wrexham Technology Park. It announced plans to create 90 jobs locally. The Welsh government supported the move with £750,000 funding. “At Chetwood, we use technology to make people better off, through the design and manufacture of digital products across financial services,” the company says on its website. “We are focused on serving distinct customer segments that are currently underserved by the market, with products designed specifically for their needs. Chetwood emphasises that unlike traditional banking models, it is “not obsessed with customer ownership and cross-selling other products”. Rather, it focuses on the products being right for its customers and stand-alone. “Our multi-brand strategy and our capability to create white labelled products, enable this approach,” Chetwood states. Most recently, Mielczarek was deputy head of the retail operations of HSBC UK. Prior to that, he was commercial director and head of retail products for HSBC Europe. Prior to his time at HSBC, he was CFO at M&S Bank, head of commercial finance at MBNA, and brokerage operations director at Charles Schwab. Jenkinson comes with nearly 25 years’ experience working at Temenos, TCA Consulting and Capco/FIS. He was a lead partner at Capco in retail banking and wealth management before leaving to start Chetwood.